Capital gains is income realized when something of value – stocks, bonds, real estate, etc. – is sold at a profit. 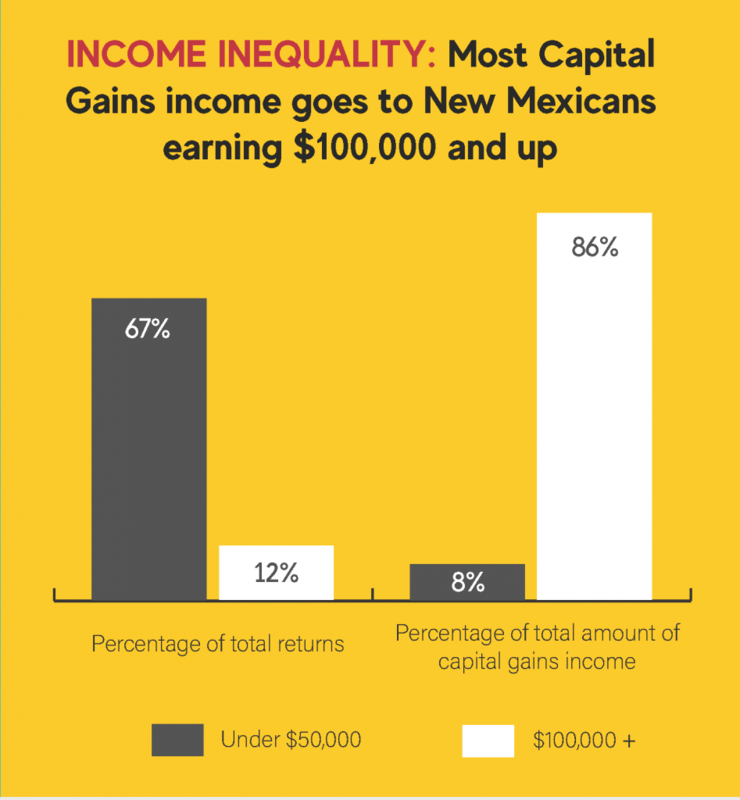 In 2003, the New Mexico Legislature gave a big tax break to those receiving capital gains income. This tax cut allowed people to deduct half of their capital gains income from their state taxes. Unfortunately, this deduction overwhelming goes to the highest-income earners – the people who are already paying the smallest share of their income in state and local taxes. It also means that is this unearned income is taxed at a lower rate than money earned from wages. This deduction costs the state between $20 million and $55 million every year – money that could go to schools, health care, and public safety instead. There is no evidence that capital gains deductions promote economic growth or foster investment. It is an ineffective tax give-away, and should be repealed. As a state that consistently has one of the highest rates of poverty, New Mexico should structure its tax code to help hard-working families, not to favor those who need the least help. New Mexico is too reliant on revenue from the oil and gas industry – this keeps us in a boom-or-bust cycle. 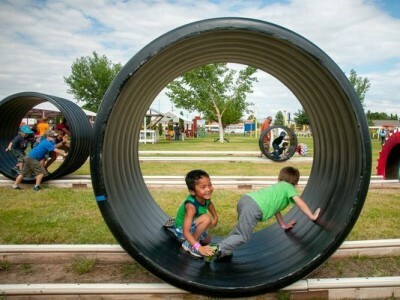 It’s impossible to plan for future needs when our revenue outlook is so uncertain. Repealing the capital gains tax deduction will allow for a fairer tax system while generating sustainable revenue for the state. This revenue can more effectively be invested in proven job creators such as a cradle-to-career education system that produces a highly qualified workforce. Who gets this Tax Break? 86% of the value of the capital gains deduction goes to just 12% of New Mexicans – those who earn more than $100,000. Even more alarming, almost half (44%) of the value goes to the tiny number of New Mexicans who make more than $1 million. In comparison, only 8% of the value of the deduction goes to the 67% of New Mexicans at the lower end of the income scale – those who earn less than $50,000. The hard-earned wages of everyday working New Mexicans should be not taxed at a higher rate than the profits that the state’s wealthiest few make from selling stocks and bonds.